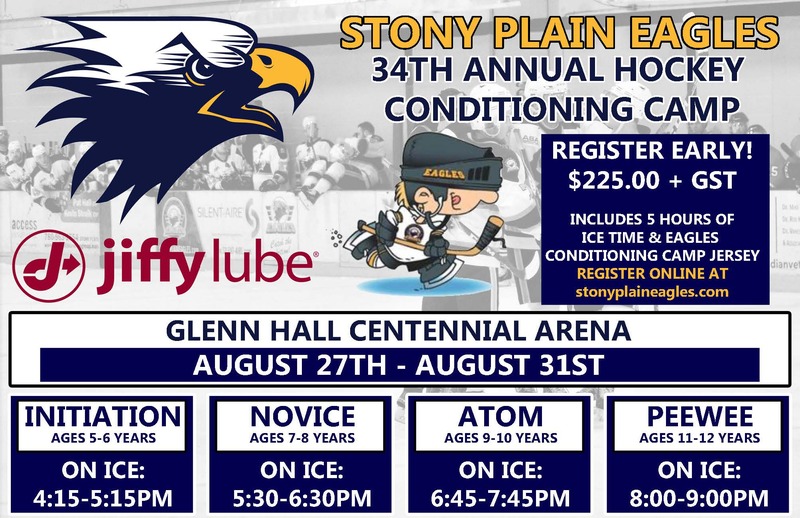 Get prepared for your Winter Hockey season by registering for the Stony Plain Eagles Annual Conditioning Camp the week of August 27th to August 31st, 2018! This is your chance to get to skate with both Current and Former Eagle's players. To ensure your spot in the camp, please register ASAP as spots will fill quickly. If you have any questions, please email Brandon at brandon@silentice.com. All sessions will be held at the Glenn Hall Centennial Arena.